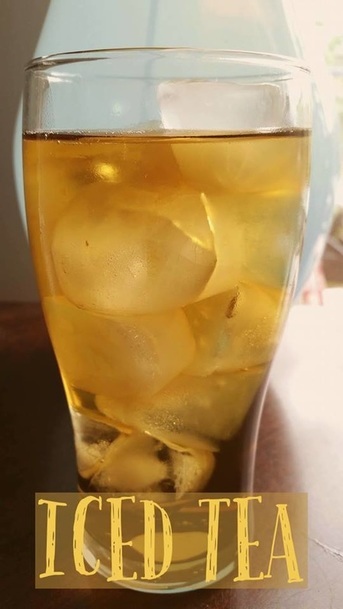 This is the iced tea recipe that I make for My Man, who is diabetic. We very seldom drink regular tea, preferring herbal tea instead. I have used regular tea to make this and it works great. I fill my electric kettle and let it come to a boil. While waiting for it to boil, I put 3 teabags into a 3 qt. pitcher, and add 2 cups of splenda. When the water boils, I pour it into the pitcher and stir until the splenda is dissolved. Then i add cold water to almost fill the pitcher. I let the tea steep for about a half hour before removing the teabags. Add a tray of ice cubes to the pitcher. Sometimes I will add a tbsp of lemon juice to the tea before putting it in the fridge. Chill. Serve over ice.